Why I read this book: I'd heard great things about it and it sounded like something that would be right up my alley. Goodreads summary: ""Last Night I Dreamt I Went To Manderley Again." So the second Mrs. Maxim de Winter remembered the chilling events that led her down the turning drive past the beeches, white and naked, to the isolated gray stone manse on the windswept Cornish coast. With a husband she barely knew, the young bride arrived at this immense estate, only to be inexorably drawn into the life of the first Mrs. de Winter, the beautiful Rebecca, dead but never forgotten... Her suite of rooms never touched, her clothes ready to be worn, her servant - the sinister Mrs. Danvers - still loyal. And as an eerie presentiment of evil tightened around her heart, the second Mrs. de Winter began her search for the real fate of Rebecca... For the secrets of Manderley." This has always been one of my favorite stories, and Mrs. Danvers is right up there with Nurse Ratchet in the all time best villains category. This is one of my all time favorite books! In fact, it is time for a reread! 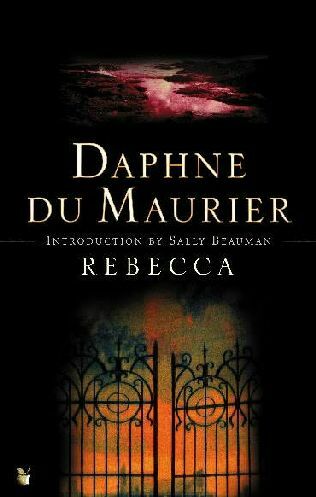 You need to read My Cousin Rachel next by Daphne du Murier! I highly recommend it! Nice Review! There is an award for you at my blog! Honestly, I've never heard of this book, but it sounds great! I feel like I was sheltered. I must get this book. Thanks for the great review. You should watch the movie with Laurence Olivier. Loved it, but the book especially! I have this book on one of my challenge lists for 2011. I've heard so many great things about it, & I LOVE Jane Eyre! You mentioning that every Jane Eyre lover should read it made me that much more excited to get to it! Thanks for the review! It's been years since I read this book, but I loved it as well! I'm happy you gushed over it. It should be gushed over.